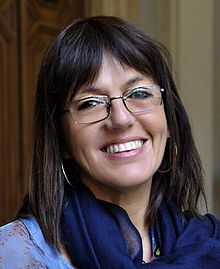 (@AnnaMasera) Anna Masera is an Italian journalist and the Public Editor at La Stampa. She was head of the Italian Parliament’s Press Office, on leave of absence from La Stampa for the past 2 years, where she digitalized and socialized the communication of the institution to bring it to today’s 2.0 standards. Before that, she was the Web Editoor before becoming the first Social Media Editor in an Italian newspaper. She has also worked in Milan at Italia Oggi, Reuters, Fortune, Espansione, Rai and Panorama. Anna was awarded the Italian Journalism Prize “E’ Giornalismo” for innovation in journalism in 2013. She graduated with a BA in History at Yale University in 1983 and an MA in Journalism at Columbia University in 1984.